We'll never know how good a selection Jayandbee was yesterday, as his race lasted around 30 seconds! He was tracking the leaders in about 4th place when he appeared to jump into the back of another runner and deposited his jockey to the ground. He'd attracted support all day too, being sent off as the 11/8 favourite, almost 40% shorter than our advised 9/4, meaning there were quite a few disappointed punters out there. For a pretty weak-looking fillies' maiden at a track where trainer John Oxx has a remarkable record. Over the last 10 years (no recent flash in the pan to distort figures), you'd be well in profit by blindly backing his horses here, despite him only averaging around 13 runners per year at this track. 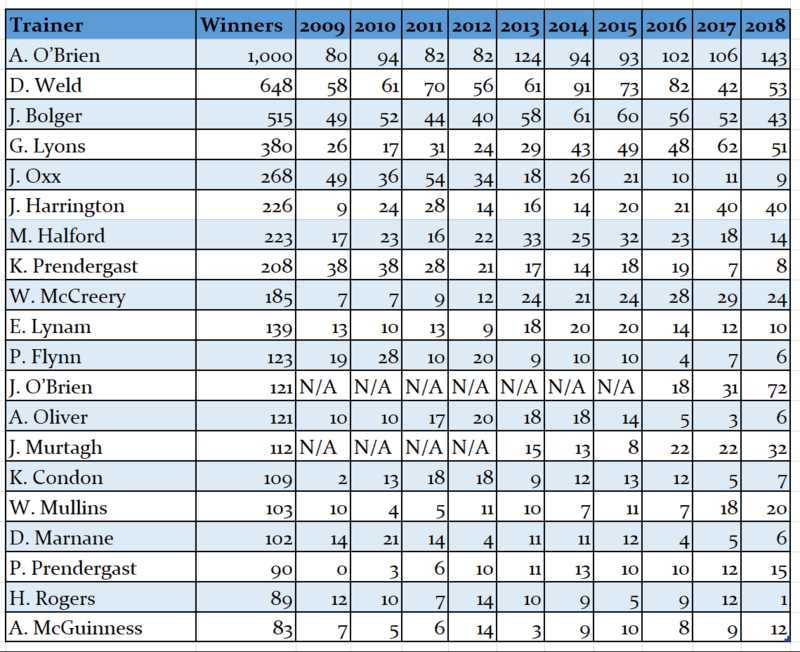 His 10 yr record here is 43 winners from 138 winners, a 31.2% strike rate earning his followers 74.4pts, an ROI of 53.9%. That's an excellent return, especially without filtering out any runners. More recently, he has sent fewer horses here, but has seen even better results, maybe he has become more selective of late? For the 2011/13 period, he has sent just 21 runners here, but nine (42.9%) have gone on to win, returning level stakes profits of 35.2pts (+167.8% ROI) and he is 5/6 for 22.3pts in the last two seasons. In fact his last dozen runners here have finished as follows: 121116111711. John actually has two runners here today: Abu Nayef (currently 12/1) isn't without an E/W chance in the preceding handicap at 4.45, but I feel the yard's best chance of a winner comes in the last race of the day, where we'll see Roman Romance attempt to get off the mark at her fourth attempt. This is, as I said earlier, not the greatest race on earth and it probably won't take anything special to win it and Roman Romance at least comes into this race with the benefit of having two decent enough runs at this stamina-sapping (for a maiden anyway!) 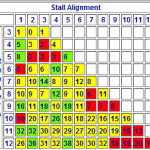 trip of 12.5 furlongs. She stayed on well in both of those races to finish third and fourth, but wasn't disgraced in either. She'll probably need further in time, but her improvement in her three starts to date makes this look like her best opportunity so far to break her duck. If the form of her previous outings pans out today, then she holds an edge over two of the three horses ahead of her in the market, whilst the favourite Teocht has been disappointing and is already beginning to look overexposed at this level..
We don't make excuse here at SotD for a poor run and yesterday was no exception! 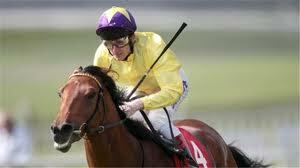 Daring Dream wasn't so daring in the end, he we was held up and he made his move too late in my opinion. A group of 4 horses broke awy and couldn't be caught, whilst our selection stayed on at the end to head his group and ultimately finish 5th. The string of horses owned by His Highness The Aga Khan are in excellent form at present, recording some 14 wins from just 27 races in the last fortnight and his horses have a 33% strike rate at Down Royal over the last few years. One of the trainers used by His Highness is John Oxx, whose own personal record at Down Royal stands up to close scrutiny too: a 35% strike rate over the past 5 years at the track, with a 44% strike rate in the last 2 years alone. Mr Oxx's runners seem to be in good nick too with 7 winners from 18 in the last two weeks and it should also be pointed out that he has trained the winner of this race in each of the last 3 years! It will, therefore, come as little or no surprise to regular SotD readers to discover that John Oxx only has one runner racing today and that his sole runner features at Down Royal and is owned by the Aga Khan! Our selection today is Sindjara: a lightly raced filly who looked impressive when breaking her maiden tag at Dundalk and looks very fairly treated at the weights today. 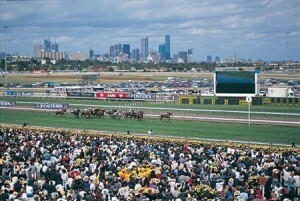 Click here for the latest odds on the 4.20 Down Royal. PS Zariyna also runs in this race, owned by the Aga Khan and is available at 8/1 generally. A mixed bag today, dear reader, a bit of a post pourri if you will, as I catch-up after a few days away in the South of France. He won the Greenham Stakes by a good four lengths from a reasonable - and improving - sort in Excelebration, at odds of 1/4. So what did this tell us? Well, that's hard to quantify, in my opinion. The time was ok but not great; the opposition was ok but not great; and Frankel settled in the race not great but ok.
To be fair to Frankel, he couldn't have won much more easily, but the worry for me is that his only real rival on 2yo form, Strong Suit, ran no race and finished last, so there may be grounds for reservations about what specifically he beat here. Despite that, there were ten lengths back to the third, so this was at least a decent run. Those who are tempted to pile in for the Guineas should bear in mind that there hasn't been a Greenham winner double up in that race for 35 years, when Wollow did the biz for 'Sir' Henry ridden by a chap called Dettori. (In fact, it was Gianfranco, father of Lanfranco 'Frankie'). So what?, you might ask. 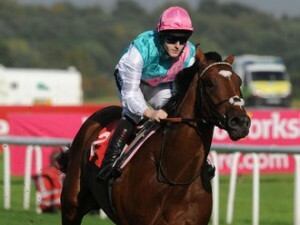 Well, none of the above means that Frankel can't or even won't win the Guineas. It just directs readers to facts rather than hype in the hope that they may be armed with sufficient knowledge - as opposed to newspaper editors' hot air - when it comes to post time on 30th April. The absence or limitations of information on many of the other runners, and the fact that we've been able to see that Frankel is still the same beast as last year, even if he hasn't yet demonstrated that he's trained on, means he remains by far the most likely winner. But 1/2 is not my sort of price in a race like this - you only have to go back to last year to find the last beaten odds on favourite in the race, St Nicholas Abbey - so I'll be trying to bleed some each way value nearer the time. What I am sure of is this: if Frankel pulls like he did in the Greenham he has little chance of getting the twelve furlongs of the Derby trip. He is as short as 7/2 and generally a 4/1 shot for that, which hardly represents anything remotely related to value. 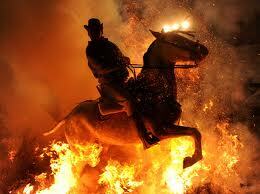 Again, I don't say he can't win the Derby, merely that I don't think he deserves to be those odds. He's not even certain to run in the race! One I have backed for the Derby at a big price, and I was therefore very pleased to see win his maiden t'other night, is Zanughan. This John Oxx-trained son of Azamour made his debut in a strong maiden at the Curragh the day Geegeez sponsored a race there. Aidan O'Brien's Marksmanship won that day - and I've backed him for the Derby too - with Notable Graduate second and Zanughan a fast finishing third over the heavy ground ten furlongs there. Both the second and third have won since, with the fourth beaten a little further by Zanughan when grabbing a third place behind him in Z's winning maiden. In other words, the form is robust. Zanughan goes for the Derrinstown Stud Derby Trial on 8th May next, a race which has been won by the likes of Sinndar, Galileo, High Chapparal, Yeats, Dylan Thomas, Fame And Glory and Midas Touch since the turn of the century. Marksmanship may also head there for a rematch and it's fair to say that the winner of that contest will be around an 8/1 shot for Epsom glory, possibly shorter. So the big prices I have might look better then! Marksmanship is still available at 36 on Betfair, and generally a 25/1 shot with bookies, whilst Zanughan can be backed at 40's with Betfred (everyone else shorter, including Stan James who are just 20/1). I like a bit of value on my toast, and one or both of those should hopefully make it to Epsom at a shorter price than is currently on offer. Now then, how about a trainer to follow? What about one that you might not have even heard of? Roger Varian is his name, and if that's a new name to you, then what if I told you he has taken over Michael Jarvis' string? Jarvis was a brilliant trainer, but heart problems allied to prostate cancer have meant that recently he's suffering from increasingly poor health. Varian, as his assistant trainer, was the obvious man to take the reins, and has started with a bang. Since taking over in mid-February, he's trained four winners from nine runners, for a level stakes profit of over 55 points! Now, before you start rushing to lump on, that nonet did include a 50/1 shot, which has obviously skewed things somewhat. Nevertheless, it is highly likely that Varian is doing nothing different from what Jarvis was doing previously. 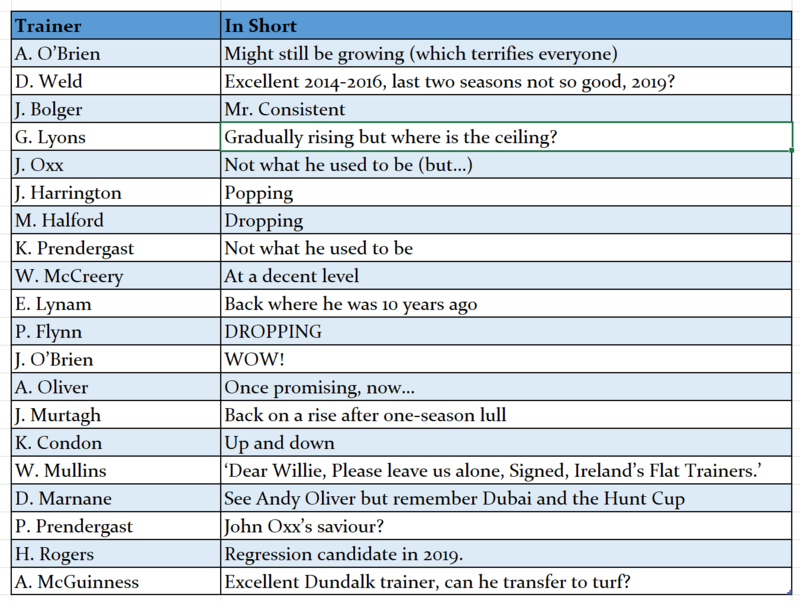 So, given that Jarvis was actually in the top ten in the trainers' championship and that it would appear that Varian is not considered in the same vein as him just yet, there may continue to be value in tracking the yard's runners. 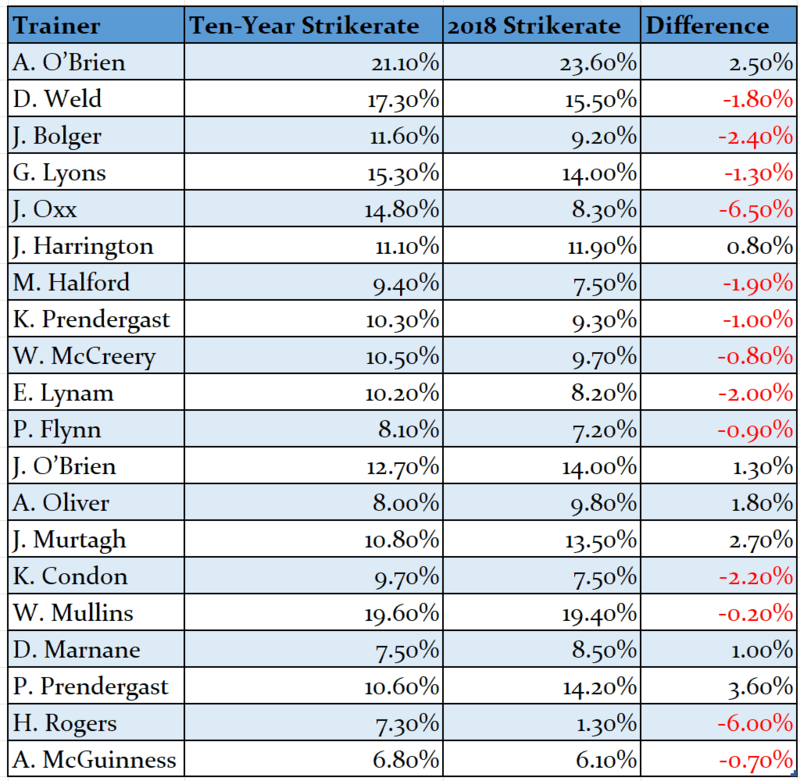 In fact, Jarvis' strike rate of 25% last season was the highest of any of the top trainers, and if Varian can keep the meter ticking at 15%+, he's likely to finish the season in front to level stakes. â€œWe have some very nice older horses with proven ability, Laaheb is a five-year-old now and he won twice in Group company last season. Alainmaar is back too having had his season cut short last year, but heâ€™s a very exciting horse. Weâ€™ve also got Sri Putra, who is a proven older horse, and also some nice four-year-olds who could step up to the plate with the likes of Hot Prospect and Ferdoos, who made good progress at the end of last season. â€œWeâ€™ve got some nice maidens in the three-year-old division who weâ€™ll look to get a bit of experience into through April and May, and while itâ€™s early days, weâ€™ve got a nice looking bunch of two-years-olds." Finally, just a quick reminder that my online business training video tutorials will be continuing tomorrow, with the next in the sequence. If you're on board already, great, look out for the email. If not, you can still get involved by clicking the link below. In summary, I'll be showing you how to set up a website (hint, it's a LOT easier than you think); how to make it pretty; how to create something to sell; and how to start getting some traffic to the site. In other words, I'll be showing you all the steps you need to get going... for free. Why? Well, two reasons really. Firstly, I'm a nice guy and I'd love to hear your success stories in the future. And secondly - and this probably won't come as a surprise - I've got something to offer at the end of the free training which will be of interest to some. Capping off a successful day for jockey Fran Berry was a win aboard What A Charm in the Leopardstown November Handicap (Premier Handicap). Berry closed the gap for the Irish Jockeys' Title competition from eleven winners in arrears of Pat Smullen at the beginning of the day, picking up a treble over the fixture. Trained by John Oxx, What A Charm led the field easily going into the straight, never really looking like anything other than the winner, crossing the line in front by four and a half lengths from runner up Prince Chaparral, while third place Knight Eagle the same distance further behind. Oxx said of his winning charge, "She's a grand filly. She hasn't had the ground all year as she loves it soft. I had her entered everywhere throughout the year, but there was no sign of rain. "It takes a good three-year-old to win the November handicap. 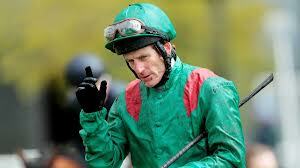 I thought that the 3lb rise she had from the Cesarewitch might have stopped her." The long anticipated comeback to the track for Arazan will be decided this week, with trainer John Oxx to announce whether his charge will start in the Solonaway Stakes on Sunday at the Curragh. Scoring victories in two out of his three outings in 2008 as a juvenile, the four year old suffered his one loss behind Mastercraftsman in the National Stakes at almost the same time two years past. He has been sidelined since then with various setbacks and illnesses, with trainer Oxx not previously planning a return for him until he felt the horse was ready. Arazan was ruled out of the 2000 Guineas last year after being looked at as a major competitor for the event, which was ultimately won by stable mate Sea The Stars. 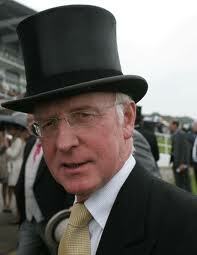 "He'll work again this week and we'll make a decision about him then," Oxx stated. "It's two years since he's run and it's very difficult for a horse to come back and retain all of his old ability when he's had a couple of doses of pneumonia. "It would be a lot to expect him to come back to his old form and we'll have to decide whether he is in a position to go and run. "He's been in good health, looks terrific and he has this wonderful temperament. "He goes out and does his work just the same as two years ago and just the same as before the Guineas last year, he's just such a willing horse. "He's surprised me that he's got this far actually, but whether he can show his true ability, there is a bit of a question mark there. "I wouldn't want to run him if he's not operating at the full level he was once able to do. "I'm not certain he's going to make the track but we'll probably make our minds up on Thursday." The weights were disclosed on Wednesday for the Emirates Melbourne Cup, with joint top weight being assigned to Alandi, formerly trained by John Oxx, together with Efficient, the 2007 champion for the prestigious event on the first Tuesday in November. The pair have been assigned 58kgs (about 9st 2lb) for the famous 2m handicap, known in Australia as 'the race that stops a nation'. Victor of the Irish St Leger and Prix du Cadran last year, Alandi left the Oxx stable last October, but has yet to run for Robert Hickmott, his current trainer, but is thought to have been purchased for a performance in the Melbourne Cup. The local favourite for this year's event is the victor of last year, Shocking, who has been allotted 57kg (9st), a 6kg (13lb) increase from the weight in 2009. The 2008 runner up, the Luca Cumani charge Bauer, who has been sidelined since with injury trouble, has been given 53.5kg (8st 6lb), with stable mate Drunken Sailor assigned 53kg (8st 5lb). Just a possibility at this early point, Bauer is expected to make his long anticipated return at Salisbury on Thursday. "He'll need a couple more runs before we can make a decision. We need to see what shape and form he is in after an absence of two years. 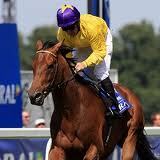 There is enough time, he could go in the last quarantine," Cumani said. Trainer Dermot Weld has a good track record for the Melbourne Cup, having grabbed the trophey on twice so far, with Vintage Crop in 1993 and then with Media Puzzle in 2002. Weld charge Rite Of Passage, current favourite with bookies in Britain and Ireland, has been assigned 57kg (9st), while stable mate Profound Beauty has been given 54kg (8st 7lb).